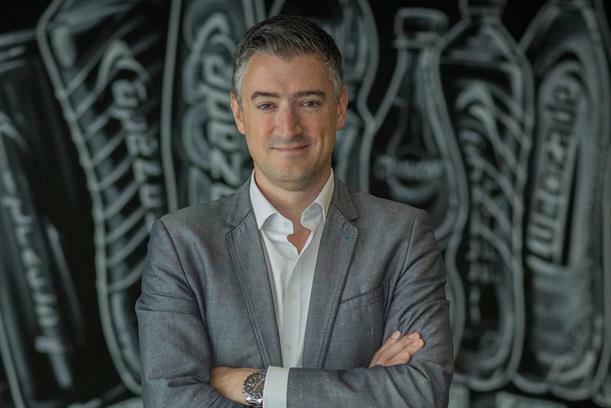 Lucozade is targeting what it says are the six million fitness fans in the UK motivated by beating their "personal best" with its latest product launch, Lucozade Ribena Suntory's marketing and business development director, Jon Evans, says. Lucozade Sport Fitwater, which launched in Tesco this month, is a water containing four electrolytes – magnesium, sodium, calcium and chloride – each of which comes with an approved health claim. It has been designed to appeal to people who take fitness seriously, but not competitively, and need a functional drink, but do not want the sugar boost in Lucozade Sport. The product will be supported with an outdoor and digital campaign this autumn featuring brand ambassadors Anthony Joshua and Emily Skye and created by LRS’s in-house production team, TED (which, like its namesake conference, stands for technology, entertainment and design). TED, which has 18 staff and has been running since last spring, has become a "massive source of creativity", Evans says. While he still relies on lead agency Grey London for "strategy, big creative concepts and big production", TED fills in the gaps by carrying out a lot of the production for smaller or more straightforward parts of the marketing output. "It’s a really good balance because it allows us to be quite agile, quite flexible, and also get through a lot of the production ourselves, while still using the best expertise and talent externally," he says. Lucozade Sport was relaunched last year with a new brand positioning, "Made to move", and a KPI of getting a million people moving in three years. In the first year, Evans says, it has reached 300,000 people, putting it more or less on track to hit the target. "In one year we’ve shifted our demographic quite a lot," he says – "we now have more women in the brand than men for the first time. It’s done a really useful job for us in terms of broadening the appeal of the brand." The new purpose for the brand had provided a fantastic level of clarity to his job, he adds. "When you’ve got a purpose as clear as that, it makes every decision much easier, because if it doesn’t make people move more, we’re not going to do it. "We’ve been quite strict, we need to see evidence that we have directly influenced someone." This mindset has led to activity such as a partnership last year with Joshua and PureGym, when it was announced that Joshua would be showing up at one of the gym brand’s locations to lead a workout, which was also livestreamed on YouTube. "We had people in their living rooms taking part in the workout," Evans says. Working with Skye, a fitness blogger with a huge social following, is indicative of a shift of approach from the brand, he says: "Our judgement about who we’re partnering with has shifted quite a lot in the last 18 months to two years, and social influence will be a much bigger part of our decision making criteria." Skye, who Evans says used to make her own electrolyte drink at home, was also involved in the development of the product. Joshua, while a more conventional sporting superstar, is also a fit because the heavyweight champion is a "cultural icon", Evans explains. The film featuring Joshua, which Grey created for the brand ahead of his fight in April against Wladimir Klitschko that saw the Englishman become the undisputed world heavyweight champion, is the single most effective ad the company has ever produced, according to Evans. He attributes this to Joshua’s willingness to share his troubled life story. "He gave us all that rich back story and was proud to tell it. That’s been the most effective ad we’ve ever made in terms of ROI. We only aired it on TV five times, but it was viewed online 20 million times and we had over 170,000 comments and likes."